You have to give Sylvester Stallone credit--he has a gift for remixing the same movie over and over and again and making you actually care. Maybe it's because he focuses on the one thing that matters most in storytelling: compelling characters. And Creed II is full of them. First, there's Adonis (Michael B. Jordan), the brooding, bratty, world champion with a chip on his shoulder. There's Rocky (Sylvester Stallone), the downtrodden wise sage who only recognizes his role in things when the chips are down. There's Bianca Taylor, a talented singer suffering from hearing loss and her love for a self-destructive boxer. There's Mary Anne Creed (Phylicia Rashad), the weary widow of Apollo Creed who is consistently forced to check her man-child son, and then there are the villains. Ivan and Victor Drago (Dolph Lundgren and Florian Munteanu), the Russian outcasts seeking redemption for the failures of Ivan Drago. Everyone has a purpose in this film, and everyone has a place in moving the narrative forward: avenging the actions of Rocky IV. This is a straight-up reboot of a Cold War classic, complete with the final match taking place in Russia. You know what to expect. The challenge from Ivan's son is the kind of storybook rematch the sports world loves. You know Creed has to take the fight to prove himself. And you know at some point, Victor Drago will get the better of him, setting us up for a training montage that never seems to get old. You see, when Rocky IV was released, it wasn't just a boxing film, it was practically a propaganda film about the superiority of American values and ideals. In Creed II, it's not about the country--it's personal. It's about discovering what matters most to you in your career and your own life. And as cliched as that may all sound, it works amazingly well in this film, thanks in part to the strength of the movies character development, phenomenal actors who keep the theatrical bits grounded and brilliant fight choreography and cinematography to settle scores. I'll be straight with you, we shouldn't like Adonis Creed, but we do. He's a temperamental grown man baby that even knocks himself in the movie for "acting like a b---h." We shouldn't care about Victor Drago--he's a carbon copy of his android like father Ivan and barely has enough dialogue earn a film credit. But we do because we know that his father is living through him. The once powerful Ivan is an outcast in his homeland, and Victor's mother walked out on both of them because she has no respect for losers, so they're surprisingly sympathetic characters in their quest to be menacing. And we shouldn't care about Rocky's meandering ruminations about putting family over boxing when at no point in his career, did he ever do the same. 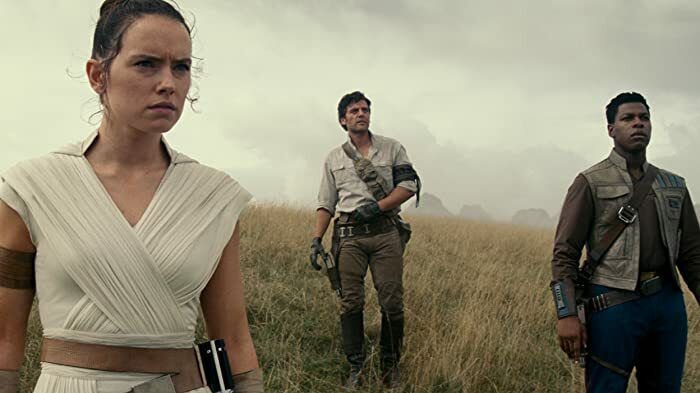 Yet somehow this movie manages to make you care because the film understands that it's real power are in those small reflective moments building up to the fight. Moments like Creed's return to the local cheesesteak house and being welcomed by the fans who urge him to take the battle against Drago. Moments like Bianca and Adonis laying on the floor together like they did in the first film pondering their relationship and what Adonis's decision means for them. It's moments like Rocky pondering the broken relationship he has with his own son and trying to figure out if he dares to make amends. This is the glue that holds these films together--putting family above career and ego. 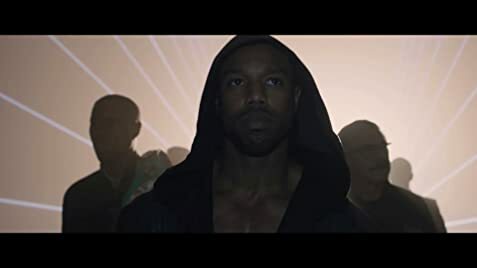 And when it finally comes time to fight, your emotions are so heavily invested in the outcome that you'll find yourself (as did my audience) verbally cheering on Adonis Creed. 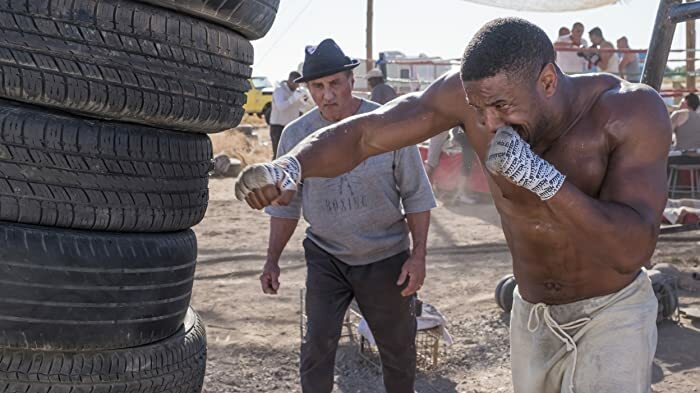 And in the end, it's the smallest of gestures by Sylvester Stallone (which I won't spoil) that lets you know that Rocky Balboa has nothing left to give and it is now Adonis Creed's time to shine in whatever sequel they have planned for us. Creed II a great time at the movies, even if it's a predictable one.